Happy International Youth Day! The United Nations designated August 12th as International Youth Day to celebrate the inclusion of young people in conversations on global issues ranging from governance to human rights. This year’s theme for International Youth Day is Safe Spaces for Youth, emphasizing the need and desire youth have for spaces where they can come together to grow, learn, and engage in their communities. At Kakenya’s Dream, each and every day we are reminded of the importance of schools as critical safe spaces that allow our girls to learn, express their values and beliefs, and engage with their peers. This year’s theme of Safe Spaces for Youth is a perfect way for us to kick off our second annual Back to School Drive! Last year, we launched the Back to School Drive with the goal of raising funds for our girls’ diverse classroom needs. With the help of nearly 100 incredible donors, we raised enough to support 11 girls for a full year. 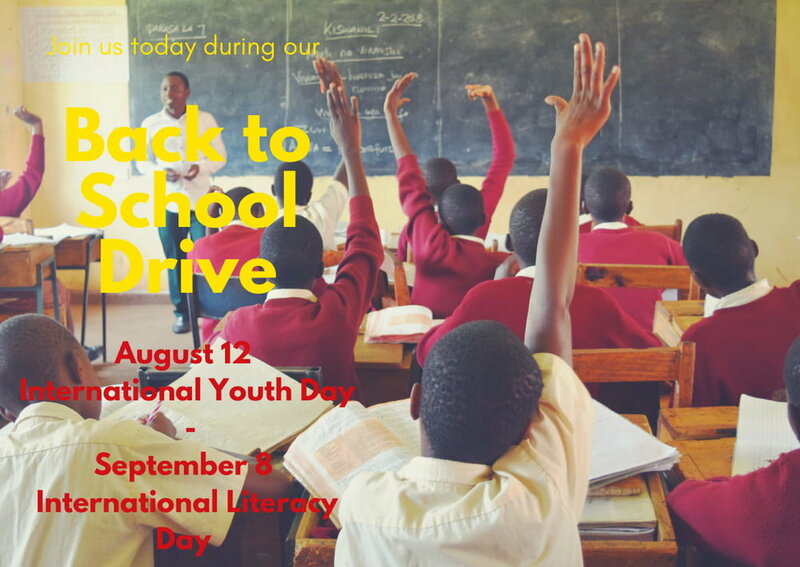 This year, we would like to see 150 donors join us over the course of three weeks from International Youth day (August 12) to International Literacy Day (September 8) as we continue to create safe spaces for our girls and equip them with the supplies they need to learn, grow, and lead. When young people feel safe, comfortable, and equipped to express their ideas and engage in in their communities, they become powerful agents of change. International Youth Day reminds us of this and calls on the global community to create these accessible and inclusive spaces where our future global leaders can flourish. At Kakenya’s Dream, we recognize the individual needs of each girl and strive to ensure that the spaces she steps into provide her with the resources, dignity, and respect she needs to freely express herself. Join us as we kick off this year’s Back to School Drive and prepare our girls for success in the classroom with the supplies they need to continue growing into the strong global leaders they are destined to become.